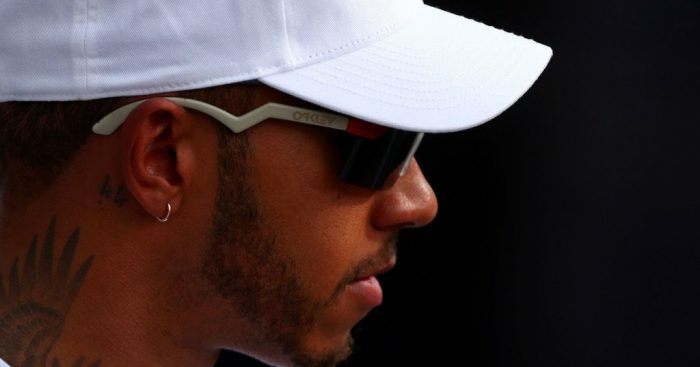 Lewis Hamilton wasn’t impressed with Sky Sports’ commentary at the German GP, saying their ‘ex-drivers” could not find a good word to say. Hamilton put in an incredible performance in Sunday’s German GP as he raced from 14th on the grid to first at the chequered flag. The Mercedes driver fought his way through the field to run inside the points by lap four and from there, with the help of a bit of rain and strategy, found himself leading the race when the Safety Car came out for Sebastian Vettel’s crash. WATCH: Sebastian Vettel crashes out of German GP. He took the win ahead of his Mercedes team-mate Valtteri Bottas and later decided to watch a repeat of the grand prix on TV. The reigning World Champion took to Instagram to share his opinion: “I never get to watch the races but just got home and watching Sky. “I find it amusing listening to ex-drivers commentating, not a single one of them could find a good word to say. “Whatever the reason is, it’s OK I forgive you. “Positivity and love wins always no matter what words you use to try and undermine me, I started 14th today and finished 1st. Hamilton later deleted the post. Follow us on Twitter @Planet_F1 and like our Facebook page.